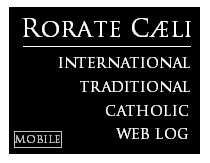 RORATE CÆLI: An argument over numbers: how does the 1950s compare with today? An argument over numbers: how does the 1950s compare with today? Update: Catholic Voices have apologised for their earlier mistake: all credit to them. They are, however, still behind the curve, since they have subjected the first available set of reliable data, which had gaps in it, to another kind of statistical analysis, a ten-year moving average. I'd like to see this re-done with the full set of data for the 1950s, which I provide. However I also think it is a largely meaningless exercise to debate whether we should talk of a peak in 1937 or in 1956, because of the effect of the second world war. Another update: Catholic Voices latest post does, however, still contain serious problems. The website in question is a blog run by 'Catholic Voices', a group dedicated to 'Putting the Church's case in the public square', and supported by a number of the English Catholic 'great and good'. The basis of the claim was a statistical summary on the National Office for Vocation (NOV) website of ordinations to the secular priesthood from the 1930s onwards, which said that there were an average of 6 ordinations a year for the 1930s, 18 year in the 1940s, and 45 a year in the 1950s. This year the NOV, which is an official organ of the Bishops' Conference of England and Wales, expects there to be 41 ordinations to the secular clergy; there should be another 11 ordinations of former Anglican clergy for the Ordinariate of Our Lady of Walsingham. 41+11=52; 52 is more than 45, so here's your headline. Ignoring the fact that these figures for the 1930s, 40s, and 50s don't make any kind of sense, Catholic Voices posted their triumphalistic post about how we are (finally?) enjoying a new springtime in the Church. Not content with that, Austen Ivereigh, one of Catholic Voices' three 'coordinators' (in an organisation otherwise dominated by young Catholics who, perhaps, didn't know any better) hit back on Twitter at those wondering if these figures for the mid 20th Century could possibly be accurate. Such people were 'traddies', 'pessimists', and (in another tweet) 'gloom-mongers'. In other words, while presenting a good-news story about the Church, at least some senior Catholic Voices wanted to use it to settle some scores with Faithful Catholics they don't happen to like: those dreadful 'traddies'. Doubts about the figures, summarised on my blog, led the NOV, very sensibly, quietly to remove them from their website, but apart from adding a disclaimer about the numbers for the 1930s, Catholic Voices has not seen fit to remove or change their original post. Thanks to the work of more than one set of people burrowing away in archives where the Catholic Directory can be found for the relevant years, I can now reveal for the first time a full set figures of ordinations for the 1950s (I was able to publish an incomplete set a few days ago here). Here they are, in a slightly wider context. So: how do the 41 ordinations to the secular clergy in England and Wales compare with situation in the 1950s? There were 1,138 ordinations to the priesthood for the secular clergy between 1950 and 1959, inclusive: an average of 114. Ordinations this year are running at 36% of the average for the 1950s. 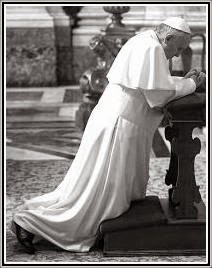 And that is to say nothing of ordinations to the religious orders, or the very evident effect the Second World War had on ordinations up to 1952. Will Catholic Voices now graciously concede the point? It is long since time to face the fact that there was a disastrous decline in vocations and ordinations from the mid 1960s, and of Church life on every other possible measure. I would be the first to concede that Vatican II was not the only thing affecting society in the 1960s, and I have discussed the complex factors at work here. But Vatican II was supposed to help, and it really, really looks as though it didn't help much. Below is a graph of ordination statistics in England and Wales with a longer range of data (still with a few gaps): click to enlarge. The old Catholic Directories published the names of all those ordained in the previous year, by diocese and religious order. By counting these names my sources have been able to come up with statistics for secular ordinations, religious ordinations, and a total number of ordinations each year. This source of data dried up in the 1980s, so I have added, as an extra line, the figures for ordinations to the secular priesthood given by the National Office of Vocations for each year from 1982, which, though they differ slightly from the data in the Directories, look reasonably reliable. There was a rush of vocations after the Papal Visit of 1982; following the decision by the Church of England to ordain women 1992, the English bishops ordained some 200 former Anglicans after an accelerated process of formation. Apart from those two blips, the post-Vatican II decline continued until just five years ago, when things slowly began to improve. This improvement was from a very low base: 15 ordinations to the secular priesthood for the whole of England and Wales in 2008, a decline of almost 90% from 1956. Catholic Voices has an important job to do, and has on many occasions done good work. It should not be part of their brief to force us all to live in a fantasy world, or to accuse those unwilling to do so of being 'gloom-mongers'. Only when you recognise problems for what they are, can you address them. Thank you for that extremely helpful post. Of course it should have been obvious to anyone who has seriously contemplated the matter, but seriousness and contemplation are not the marks of our current Catholic crop. The key given to the right of the graph doesn't appear to make much sense. The lower two items should perhaps each read "Total Ordinations"? Londoniensis: thanks for pointing this out; the third should be 'total' and the fourth should be 'NOV figures for secular ordinations'. I will try to put it right. A fairer comparison would be to normalize the ordinations by population. A country of 10 million with 114 ordinations is doing better than a country of 50 million. The UK population in 1955 was about 51 million, for 2.2 ordinations per million. But in 2010-12 it was about 62.3 million, or 0.7 ordinations per million. In other words, ordinations were three times higher in the 1950s. We should also factor into this comparison the change in the total catholic population. Were one to make a graph of "ordinations per year per 10,000 Catholics" (for example) the stats would be even more bleak. Our new priests are quite literally more than one in a million then. I will not go so far as to lay the blame with the Council but the application of it up to this point is entirely to blame! The blindness and obstinacy of those who carried out that application out is beyond description. How many of those vocations were home-grown, and how many were immigrants, e.g. from Poland and Kerala? It would be both interesting and valuable to see comparable figures from other countries for the same period. Perhaps the homo 'priestly' vocation is far more attractive in these days. elfrancoloco: When we get priests from Poland or India (another source is Nigeria), they are already ordained. So that's not distorting the figures for ordinations. It makes me laugh hysterically that they would think that NOV would actually think that they could publish such numbers and think that no one would even question it. To paraphrase an old Yiddish saying, "The NOV have apparently been growing like onions with their heads in the ground and their feet in the air!" @ authoressaurus I may be naive, but in this case I suspect error rather than conspiracy.